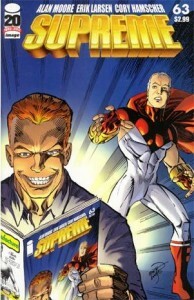 Q: Who is Erik Larsen? 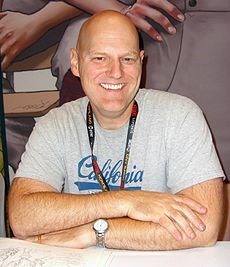 A: Erik Larsen is a Minnesota born,Washington and California raised comic book creator most known for creating the long running, Savage Dragon. He has also worked as an artist and writer on some of the most prominent titles in comics, including Spider-Man, Wolverine and The Fantastic Four. Erik is one of the founding partners of Image Comics and served as publisher from 2004-2008. He enjoys Staedtler Mars Lumograph 100 2H pencils and Home Run pies. Q: What has Erik written? 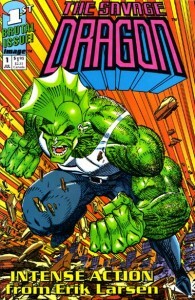 A: Erik created The Savage Dragon, first published by Image Comics in 1992, which is currently the longest running full-color comic book by the same writer and artist. 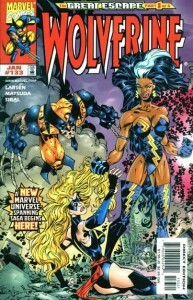 The Savage Dragon cartoon adaptation ran for two season on the USA Network. 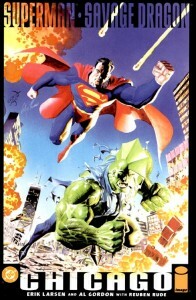 Wizard Magazine and IGN both listed the Savage Dragon as one of the greatest comic book heroes of all time. 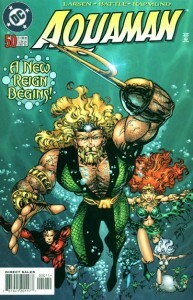 In addition to The Savage Dragon, Erik has written and drawn hundreds of comic books over the past twenty plus years including Aquaman, Wolverine, Thor, Spawn, The Incredible Hulk and dozens more. Q: Where can I find Erik? 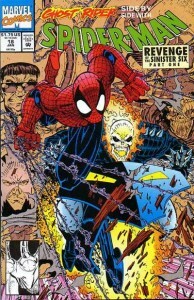 A: Erik hangs out with his childhood friend, the Savage Dragon at his website. 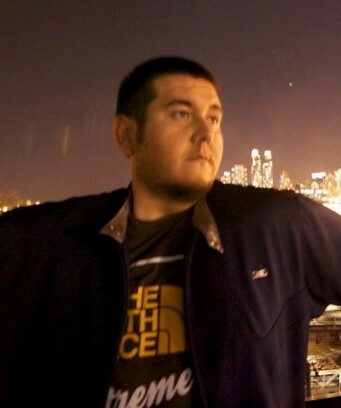 You can also find Erik on Twitter, Facebook, Wikipedia, IMDb, Comic Book Database, Comicvine and Image Comics. We talk to Erik about how he maintains interesting storylines over two decades on the same title, what it’s like having your comic turned into a cartoon, reasons and revelations behind the founding of Image Comics, the difficulties in being a creator and publisher at the same time, what the submission process is like at Image and what the best kinds of dragons are.